C is for the challenges of caregiving . What kind of caregiving? The care that is given to the “least of these.” It requires a form of organized, well planned and willing selflessness where the “less” (beyond all understanding) becomes “more”. It is a great mystery that, I believe, is revealed to few people. It is found through the “narrow gate” where Love, mercy, grace and joy trump selfishness. The reward is freedom and peace! Is it easy? No! Is it predictable? No! Can it feel lonely? At times. Do others who are observing get strangely angry at the Caregiver for the “least of these ?” Unfortunately, yes. The key is faith and “faith (in Jesus Christ, the Son of God) is confidence in what we hope for and assurance about what we do not see.” (Hebrews 11) . Help comes, encouragement comes, needs are met, new language is learned, love is filled up, the mind is renewed, patterns are formed, beauty is found in new places, moments become important because the least of these are usually living just a moment at a time. B is for broken. Family can be broken through quarrels, selfish ambition, jealousy, disorder, vile practices, desiring what we do not have, coveting what we cannot obtain. Yet I choose…”the wisdom from above is first pure, then peacable, gentle, open to reason, full of mercy and good fruits, impartial and sincere.” Brokeness can sow a harvest of righteousness through Christ. The Bible tells me so! 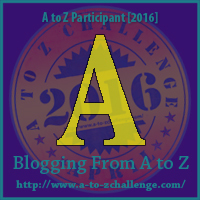 A is for away. Family can be away for many reasons. Away in their minds, away in their hearts, away in miles, away in death, away in sickness, away in anger…away…away…away. I may desire to reach them, or I may desire to allow the “awayness” to remain without trying to close the ‘away’ gap. Yet, in my heart I choose to hold on to my family through love. Love remains. What are we going to do with mom? That was the question asked over and over after dad passed away. Mom had dementia/early Alzheimer’s. The live in caregiver was excellent, but way too expensive. Several of my siblings thought an “assisted living facility” would be great…we could visit her, she would have activities, she could meet others, she would get her meds, get her accidents cleaned up, they could deal with the trillion questions, keep her calm, and on and on. So it was decided…we found a lovely ALF nearby. The deposit was made, and mom would be moved in within a few days. But something happened in my heart….it was a deep grieving…something didn’t feel right. Mom had five children…and this was the best we could do? No guilt trip on anyone here. All five of us had careers and families, but I had to deal with my own conscience. I explained to my husband that I needed some thinking time. I ended up at a local beachside, Victorian bed and breakfast (no packing, no clothes, no toothbrush…). A quick run to local pharmacy supplied me with a few essentials, and as I headed for the cash register I grabbed a journal. Entering my 3rd floor room (the only one that they had vacant on a last minute notice in April), I was delighted to find a private balcony with a gulf front view. I had arrived just in time to stand on the balcony and watch the sunset…I breathed in deeply of the fresh salt air. No T.V. tonight I decided, just the cd playing music in the background, a teapot, a teacup, warm cookies, a blank journal, and my Bible. Opening the journal…it occurred to me to write mom a letter. A letter she would never read…but I was pretending that she would. After all, everything appeared “pretend” to me at the moment. I had entered a no time zone…and I began writing. How do one’s tears change from intense pain, condemnation, torment, fear, and confusion into tears of intense humbleness and thankfulness for the Lord’s mercy and grace? I want to share a story picture first. I grew up learning to swim & body surf in the Pacific Ocean (famous Santa Monica, Zuma, Malibu beaches) At a young age were taught how to survive strong riptides and what we called “bone crushers” (huge, powerful waves that they pushed and twisted your body ‘till you didn’t know which way was up or down). The first lessons were, of course, to hold your breath and don’t panic! Next, was to never fight the riptide. Ride it out (hope the lifeguard could see you) and allow it to take you, usually, into deep waters and then parallel down the coast and at some point you would sense a change in the current and could then swim back to shore…but to fight against it would bring the danger of wearing out, panicking and drowning. With the “bone crushers” there was only one way…and we were taught this at a very young age by holding the hand of a more mature surfer… when you found yourself in the white water area with the waves beginning to develop into very, very, large sequences it was essential to learn to swim towards the waves and dive into the huge swell. No matter how big these were (10-15 feet), you always came out right above…on the other side (usually only to see another one developing), at which time you had to swim a little deeper towards that next one in order to be able to dive into its swell. This would continue until the sequence of waves “took a break,” and only then you swam like crazy to get back into shore before the next series began. Scary crazy, but I was taught well. Now, If you did not have the experience, courage, or just the right timing to swim towards these bone crushers as described above, you would be caught in the “crashing white water” I believe board surfers refer to this as the “impact zone”…a dangerous place to be. Here, as well, it was important to dive as deep as you could under the white turbulence…to the sand bottom, if possible, so that you could push off with all your strength and explode to the surface for air. Now the purpose of all of this…was to eventually “wait” for the perfect wave to begin swelling…once more you would swim out towards it (this time not for self preservation) to position yourself right under the lip, below the top of the wave…..here is where you NOW swam with all your strength WITH the wave towards shore. If your timing was perfect, you would be carried at a fast speed on top of the foam and turbulence. At this point you knew you were “riding” the wave; with arms straight down next to your body, head first towards the shore until it brought you gently into ankle deep water. This was way before there were water parks, and water tubes. The sensation was one of great power and turbulence under your belly, but somehow your body was kept on top for the ride. Eventually, I grew older and smarter and realized the thrill of body surfing did not outweigh the many waves that I miss-timed and was caught in the “impact zone”. I even recall a time with a friend when we tested the skills of the lifeguards. We swam out into a dangerous riptide zone, waving for help. Yes, the lifeguards worked their way out to us…one strapped me under his body unto a float device forcing me to ride the scariest wave of my life into shore. I thought for sure I would drown. Never again did I test the lifeguard, and my body surfing days were pretty much over. The purpose of this story? The day the Lord took my mom to her glorious, heavenly, home, on January 6, 2013, He did it in one quick, swift “embrace”. I struggled with emotions, and my faith, in ways that I did not know could exist. I had heard about the waves of grief. My family saw clearly that I was in a traumatic state of shock. The very next morning our Pastor called with compassion and encouragement. He told us about the waves of grief and that it was ok to press, or lean into them. The Lord would cover us. He said the waves would come at unexpected moments. He encouraged us and shared from his own experiences (a mature and courageous surfer of grief was telling me how my heart could surf through grief with Jesus). Fear was beginning to be replaced with faith and hope. I am forever thankful for that phone call. I thought I might be swept away in doubt, fear, condemnation, and torment between the waves that would swell up without any warning. I was getting caught in the “impact zone” of grief…it felt very dangerous. When moments of peace began to wash over me, the contrast from the waves of grief was so great that I knew someone was praying at that moment. This alerted me to begin to praise the Lord during the worse waves, to thank Him, to basically take the wave head on. He was bringing me through, He was my true Life-guard. Many people began to text, Face book message, or call me with their love or Scriptures that the Lord had put on their heart for me. I began to have peace wash over me more frequently. © Terahowardwrites: A Journey Through a Life of Caring and Caregiving, 2014. Unauthorized use and/or duplication of this material without express and written permission from this blog’s author and/or owner is strictly prohibited. Excerpts and links may be used, provided that full and clear credit is given to Tera Howard and “TeraHowardWrites: A Journey Through a Life of Caring and Caregiving” with appropriate and specific direction to the original content. © Terahowardwrites: A Journey Through a Life of Caring and Caregiving, 2014. Unauthorized use and/or duplication of this material without express and written permission from this blog’s author and/or owner is strictly prohibited. Excerpts and links may be used, provided that full and clear credit is given to Tera Howard and ”TeraHowardWrites: A Journey Through a Life of Caring and Caregiving” with appropriate and specific direction to the original content.